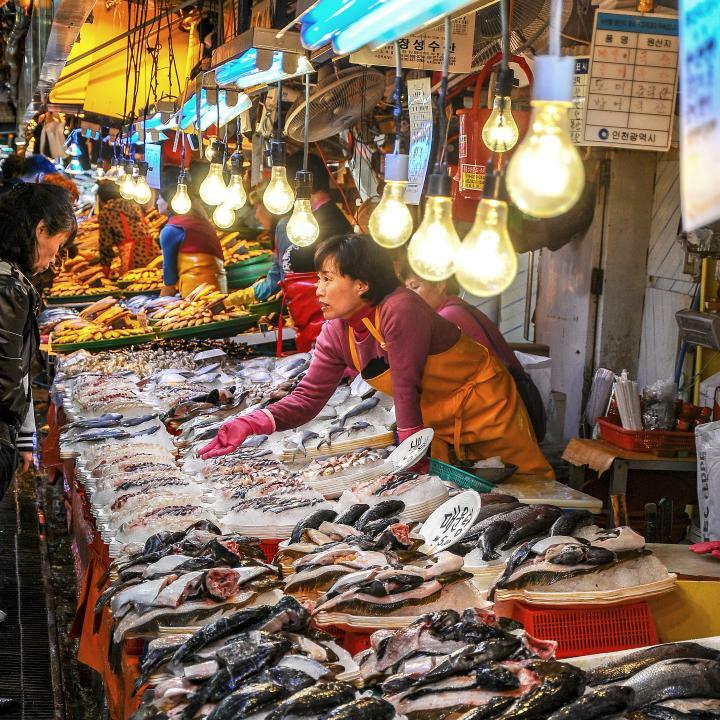 I shot this at the Sorae Fish Market near Incheon Korea on March 17, 2012. I was shooting with my Nikon D300 and Nikon 18-105mm Lens. The camera settings were: ISO 200, S125,f4.8 at 48mm (35mm equivalent 72mm).